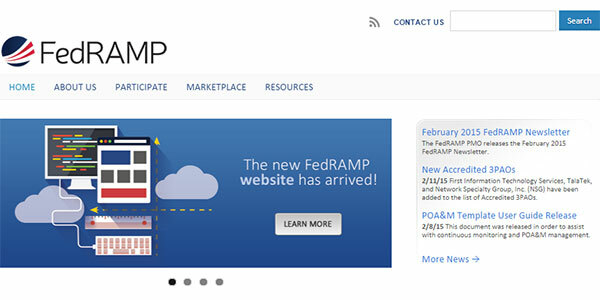 On Wednesday, March 11, FedRAMP unveiled a redesigned FedRAMP.gov. The new site focuses on user experience that fosters a better understanding of FedRAMP from basic knowledge, to in-depth program requirements and includes the launch of a training program. The FedRAMP team addressed these objectives and many others developing the website. The result is a mobile-enabled, policy-compliant (security, privacy, section 508), and user-friendly website. “Do once, use many times” is a phrase that’s been associated with the FedRAMP since its inception, and we used this concept to develop of the new website. GSA has implemented a wide range of digital services that GSA and all federal agencies can use within their own offices to effectively engage their stakeholders. The new FedRAMP.gov utilized many of these services in the redesign, making the overall process fast (four months start to finish), inexpensive (used only existing resources), and creative (flexible development platform). User Experience Program: FedRAMP used the DigitalGov User Experience Program (formerly First Fridays) to better understand what the needs of our stakeholders are, what they needed from the website, and how to ensure our users have a successful experience on FedRAMP.gov. Sites.USA.gov: The new FedRAMP.gov uses Sites.USA.gov, a DigitalGov no-cost, government-wide content management platform offered by the GSA’s Office of Citizen Services and Innovative Technologies (OCSIT). This allowed FedRAMP to create a WordPress website with no development costs. Cloud Hosting: FedRAMP is all about cloud adoption and FedRAMP.gov is hosted in FedRAMP compliant clouds through CGI Federal and Akamai. Mobile: The WordPress platfom for FedRAMP.gov is mobile friendly and allows users to access information through any device, anywhere with the same experience. Analytics: FedRAMP.gov is monitored by the Digital Analytics Program (DAP) giving insight to performanceand user experience on the website. To coincide with the launch of the new FedRAMP.gov, FedRAMP is formally launching its online training program. This first training module available focuses on FedRAMP processes. This will help users gain an understanding of the program and the level of effort required to comply with its requirements. The newly created “Resources” tab includes a training section where users can find an on-demand introductory training course. This training module is the first of many that FedRAMP will be releasing in creating a robust, FREE training program for all FedRAMP stakeholders. Bookmark and acquaint yourself with the new FedRAMP.gov. The FedRAMP Program Management Office (PMO) will frequently update the website with new information. Send any feedback about FedRAMP.gov and the training course to the FedRAMP email account and follow @OfficialFedRAMP and @MrFedRAMP on Twitter for additional updates. This post was originally published on the GSA blog by Matt Goodrich, Director of FedRAMP.